» Blog Archive » Standing ovation after Pasieczny’s brand new double concerto! Standing ovation after Pasieczny’s brand new double concerto! Standing ovation after the world premiere of Marek Pasieczny’s brand new symphonic concerto for two guitars and large orchestra! 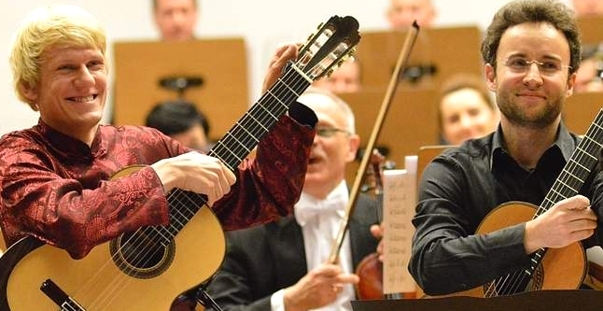 The concerto entitled: ‘THE DOUBLE PORTRAIT ’ – concerto for two guitars and symphonic orchestra, was commissioned by the 10th International Guitar Festival in Zielona Gora, Poland. 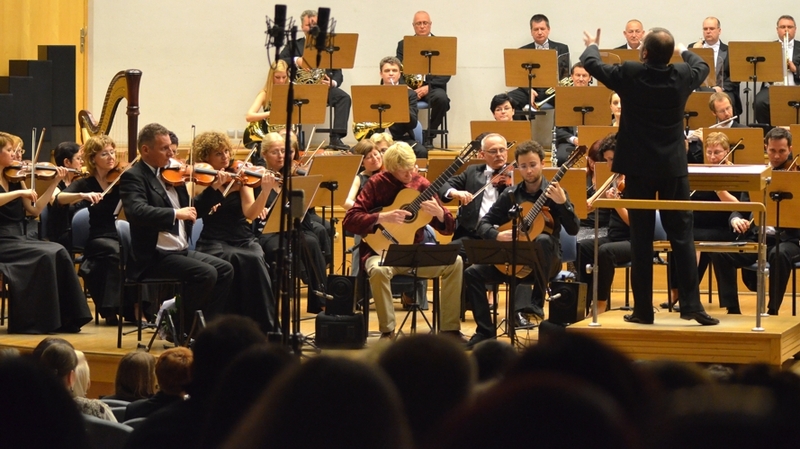 The premiere took place on the 9th of May 2014 in Zielona Góra, Poland at the Philharmony Concert Hall. Soloists: Marek Pasieczny and Michał Stanikowski; Conductor: Maestro Jacek Kraszewski with Symphonic Orchestra of the city of Zielona Góra.